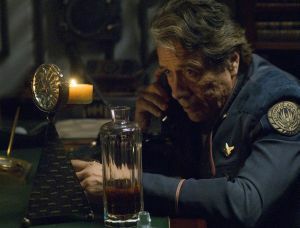 Adama on the phone in his quarters. 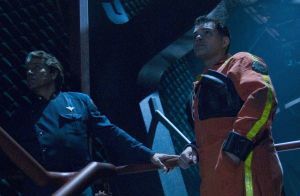 Adama and Tyrol look up at something. 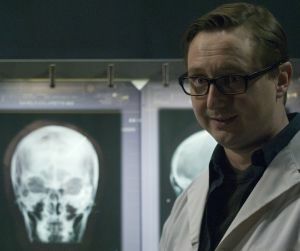 John Hodgman as Dr. Gerard. 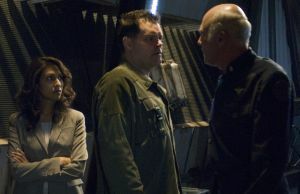 6/15/08: A leaked call sheet listed the episode title as "No Exit." 4/20/08: Approximate shooting dates are April 26th - May 5th.